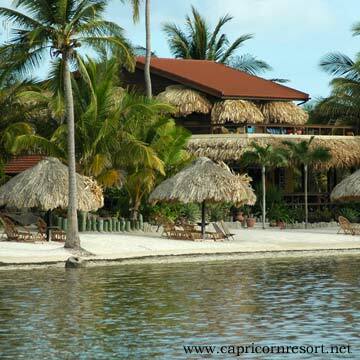 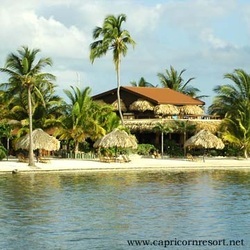 Capricorn Resort "Our Belize Vacation" - "Our Belize Vacation"
For many travelers to Ambergris Caye, a visit to Capricorn, on a beachfront cove just 3 miles north of San Pedro, is virtually a must. 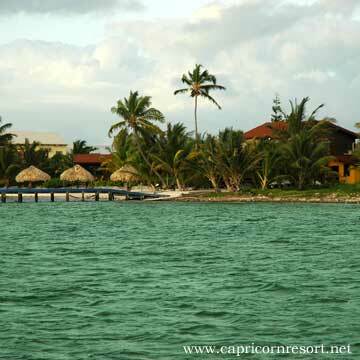 The resort is recognized as one of the top restaurants in Central America! While the focus at Capricorn is its fine food and good spirits, the resort also features 3 cozy, private, air-conditioned cabanas on the beach. Each cabana is complete with high ceilings, large private bath, shower made for 2, and a porch with its own hammock for relaxing. 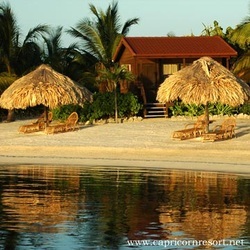 Tranquil best describes this small intimate resort nestled in its own private, beautiful cove just minutes from the charming town of San Pedro. Staying here is an experience within itself. One can get away and truly enjoy this very small and intimate setting. 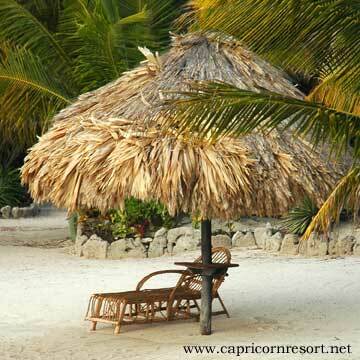 With just 3 cabanas you feel as if the place is yours. 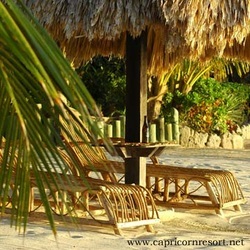 Guests enjoy the complimentary Sea Kayak provided to explore the crystal clear ocean that lies right outside the cabana doors. If wanting to explore the town of San Pedro for the day, you can easily do so by bicycle, golf cart, water-taxi, or an enjoyable walk! 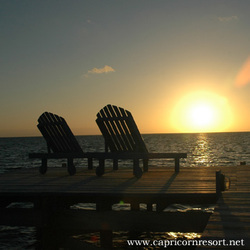 Capricorn can arrange diving and snorkeling trips and you will be picked up from right at the resort dock. Trips to the mainland can also be easily arranged. 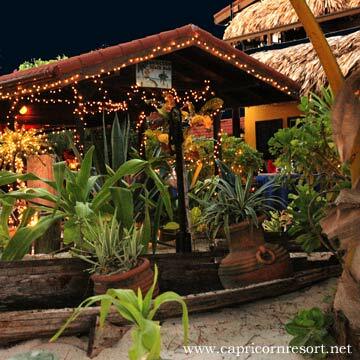 Capricorn has three cozy and intimate air conditioned cabanas overlooking the beach! Each cabana has high Belizean wood ceilings, private bathrooms with showers made for two, and a balcony complete with a hammock for relaxing. All of the cabanas are wonderfully decorated in tropical colors and feature many of the fine artisan crafts from Belize and Central America. 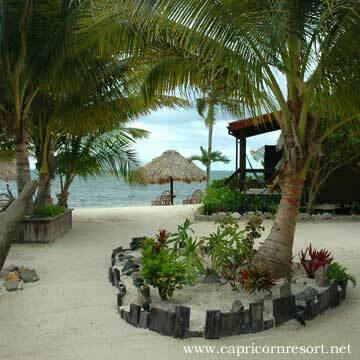 Incredible landscaping surrounds each Cabana, in fact, all of Capricorn is a botanical paradise. 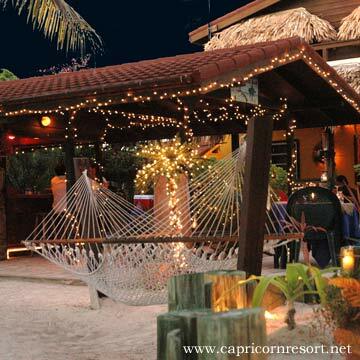 Lunch and dinner are at menu price, with daily specials featured. 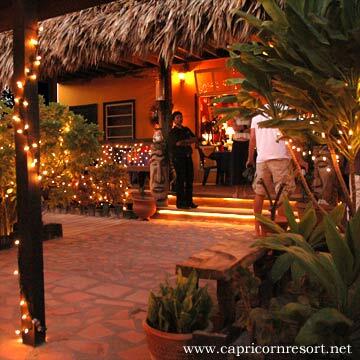 Guests receive priority dinner reservations.